Our nation’s President, Barak Obama presented the counties highest musical honor to the legendary song master Stevie Wonder. The Library of Congress’ Gershwin Prize is our countries top pop music award. It celebrates the work of an artist whose career reflects lifetime achievement in promoting song as a vehicle of musical expression and cultural understanding. It’s so inspiring for me as a musician and as an American, that while in the midst of financial crisis, international turmoil and a handful of headaches in Washington, our president and our nation are taking time to focus on all the good too. Who deserves this award MORE than Stevie Wonder???? Many may be equally as deserving, but I too must quote our nation’s president when I say that Stevie Wonder is the “soundtrack of my youth”. I was fortunate enough to finally see the great Stevie Wonder when he came to Milwaukee this past summer. A show that made “act-a-fool” with excitement and energy. My friend Aleshea’s (then) unborn bay girl was movin’ it too! It was like going to church or a dream. The energy was intoxicating. At the show , Wonder spoke a lot about his dream for our country, and how Obama was a big part of that dream. Not only an African-American president, but a culturally aware one too. This award has got me excited about what is to come from the children that are my son’s age. What kind of music are they going to bring to our world? Here are some amazing vids of Stevie! I hope you enjoy them as much as I do! Wonder’s performance will be broadcast Thursday on PBS stations as part of a White House series on the arts. Time magazine has announced that President-Elect Barak Obama will be this year’s “person of the year”. I’m in no way surprised by this announcement, but I am amazed that the art work of world famous graffiti icon Shepherd Fariey will grace the cover. Shepherd is the creator of OBEY, a well known clothing, graf and propaganda desiner. Fairey created the “André the Giant Has a Posse” sticker campaign in 1989, while attending the Rhode Island School of Design. 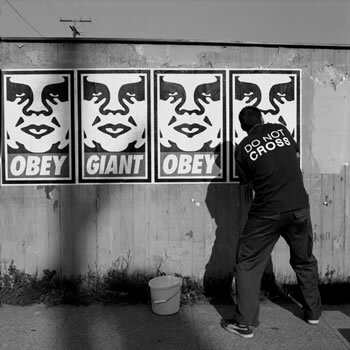 This later evolved into the “Obey Giant” campaign, which has grown via an international network of collaborators replicating Fairey’s original designs. He is without a doubt the most influential street artist of a generation! If you want to get your hands on some OBEY art or clothing… Head downtown to MODA 3. President-Elect Barack Obama has been engaging us in more involvement than I think many of us were prepared for. Not that we can’t do it, it just has perhaps surprised some of us. I’m not used to a polititian asking me to host a brainstorm session in MY HOUSE! I got a change to interview Rhymesayers artist Brother Ali before his show in Milwaukee this Saturday at Turner Hall Ballroom. We talked about how he got started in Hip Hop, his muslim faith and how it plays a role in his music, his involvement in this year’s election, race and about his song Mr. President. 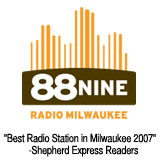 You can listen and download the entire interview right here. My man Brother Ali released this track after the election. You can definitely hear the pride in his voice in his song. Listen to the lyrics closely. 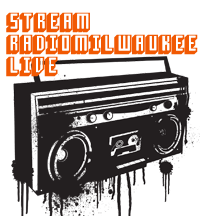 Don’t forget RadioMilwaukee welcomes Brother Ali to Turner Hall Ballroom on Saturday, November 22nd. Now only if the debates were like this….